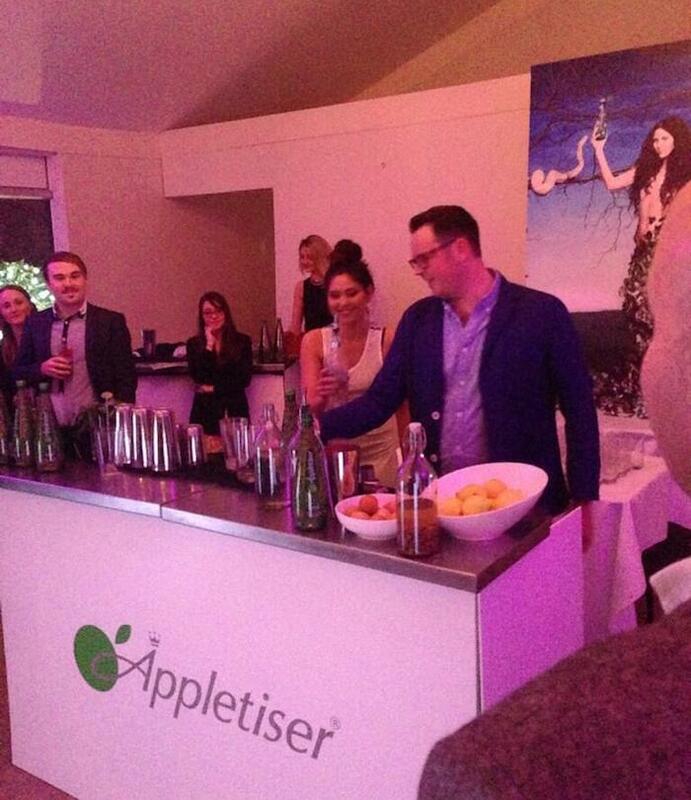 On Wednesday, we attended a swanky and fun gathering at private members club Home House in Central London where Appletiser launched a limited edition bottle designed by brand ambassador, Eliza Doolittle. The event was an occasion where a number of cocktails and mocktails created by SoulShakers were sampled with the mixologists themselves on hand to guide and demonstrate how to make them which was rather fun – who knew there was such skill and precision involved! Eliza mingled, chatting and charmed those who were invited. We spoke to her and chatted about the concept and initial design of the bottle and where the inspiration came from, to which we discovered that the creative design is an extension of initial Rankin photoshoot, based around Eve and the garden of Eden. 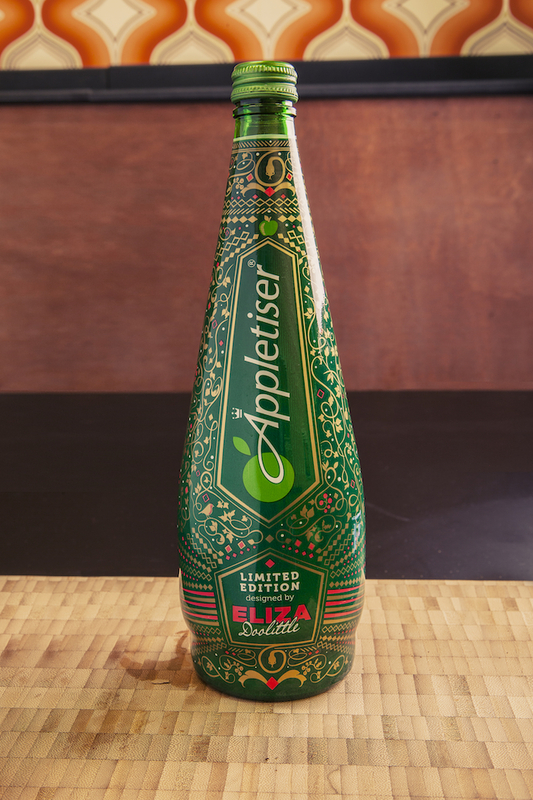 The original sketch from Eliza’s hand is featured on the reverse of the bottle, whilst the front shows a very Eliza design with multi shapes and forms such as a the serpent, apple, robin and holly leaves to name a few details Eliza also showed us a picture of her fridge which was stocked with Appletiser! Later in the evening, Eliza was given her own mixology session, creating the Eliza Blush cocktail which is a combination of vodka, pears and strawberries mixed with ice, lemon juice and sugar syrup which was topped and finished with Appletiser. Upon leaving, rather excitingly we were presented with our own limited edition bottle which will be proudly stowed alongside our other increasing Eliza merchandise collection! On reflection, the evening was a refreshing and illuminating insight of how much a collaborative venture between the Appletiser brand and Eliza herself has been throughout the past twelve months.